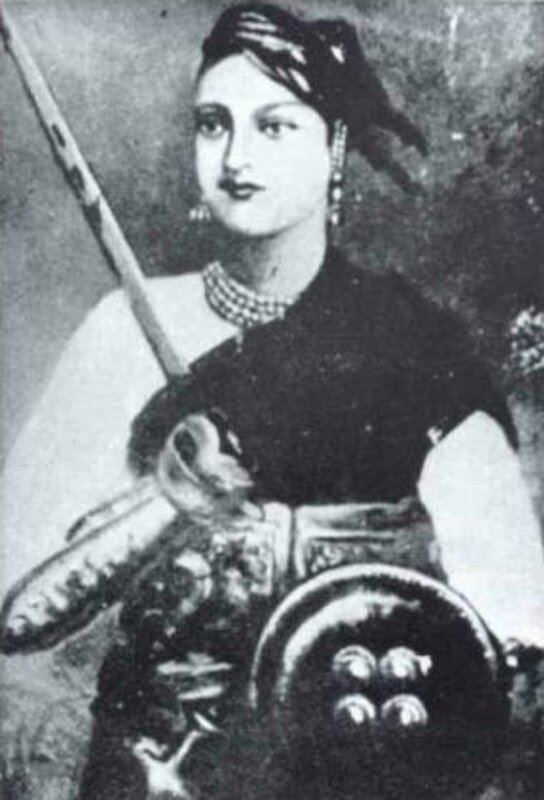 Rani Lakshmi Bai was one of the leading warriors of the India's first struggle for independence. A symbol of bravery, patriotism, and honor, Rani Lakshmi Bai was born on 19 November 1828 at Poona. Her actual name was Manikarnika. Her father Moropant Tabme was a court advisor, and mother Bhagirathi was a scholarly woman. At a very early age, she lost her mother. Her father raised her in an unconventional way and supported her to learn to ride elephants and horses and also to use weapons effectively. She grew up with Nana Sahib and Tatya Tope, who were active participants in the first revolt of independence. Here is a compilation of some facts about the first woman martyr of India that every patriot must know. 2. She got married to the King of Jhansi, Gangadhar Rao Newalkar at the early age of 7 in May 1842 and was renamed, Lakshmi Bai. 3. She was educated at home and her studies included shooting, horsemanship, and fencing. 5. She became the ruler of Jhansi when she was only 18 years old. 6. In a British report of this battle, Hugh Rose, a senior British Army officer, described her as 'personable, clever and beautiful'. 7. It is said that not wishing the British to capture her body, Lakshmi Bai asked a hermit to burn it. She was cremated, later, by a few locals. 8. Lakshmi Bai, in her childhood, was gleeful and playful and was rightly known as the Chabbili. 10. She lost her first born after 4 months and later on adopted a son. The adopted child was named Anand Rao. 11. Two postage stamps were also issued, in 1957, to honor the birthday of the rebellion. The stamp cost 15 paise when it was introduced.